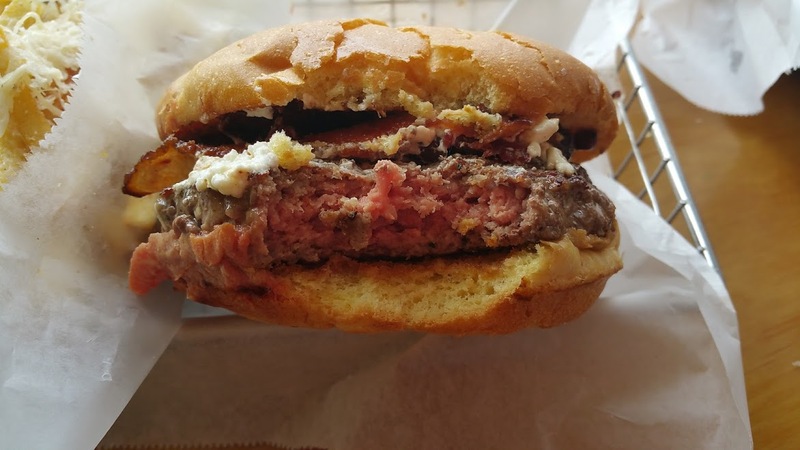 One of my many food passions are good burgers. I seldom give in to the urge, but when I do it needs to be worth while, so today when the crave hit it was easy to succumb to the call. 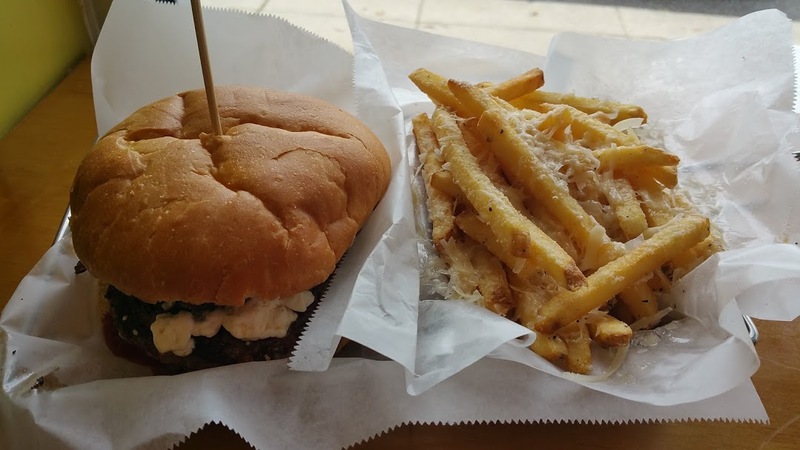 I have tried the other well touted burger spots in town, the Fi and the Shack, but wanted something a little more. 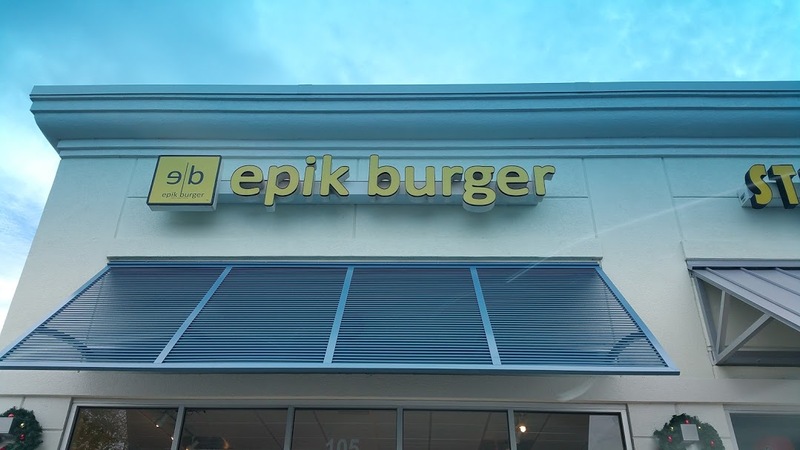 I had heard good Epik Burger reviews from my friends, and the location is ideal for me, perhaps too ideal now that I have tasted the food. Small shop in an equally small shopping center at the intersection of Atlantic and Girvin Rd it has easy access. Plain on the inside a few tables, nice counter window seats, menus ready at the door so you can decide before you line up to place the order. 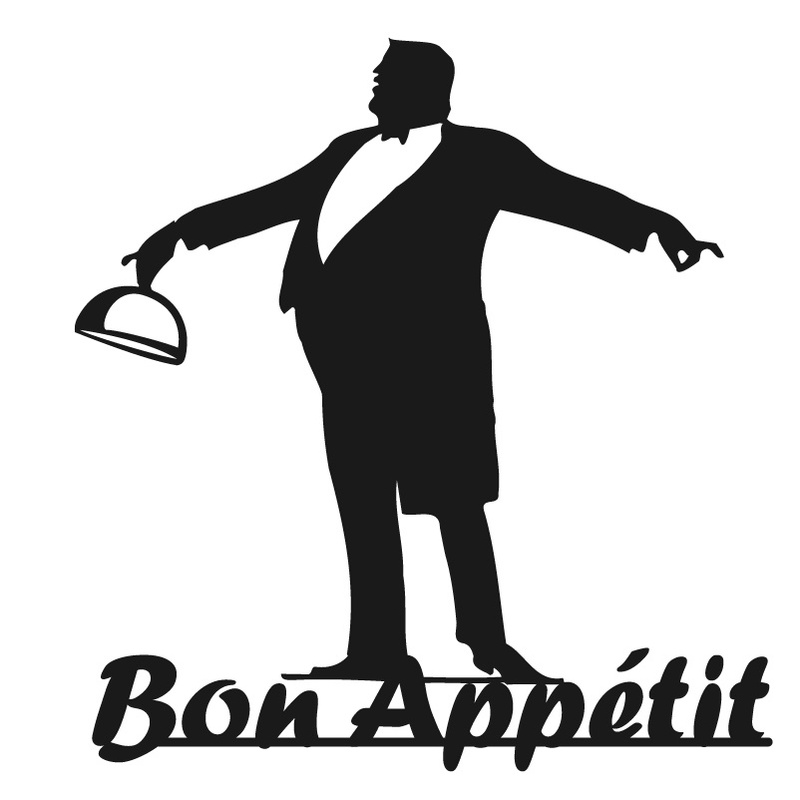 Once you order the food will be delivered by some very happy and helpful staff. You can really see everything that takes place in the kitchen, which is a good thing. 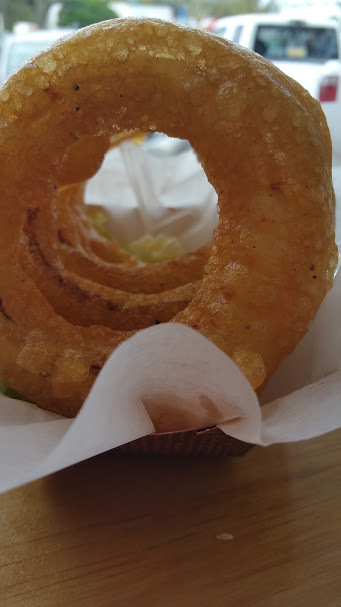 When I ordered my food I asked the person if the onion rings were fresh, and was told yes, still dawdling at the counter when they actually retrieved the onions and battered them right before my happy eyes. Just like it was ordered, the meat was amazing. It’s unusual to actually get the burger as you asked for it. Warm center of the most tender moist, flavorful meat. 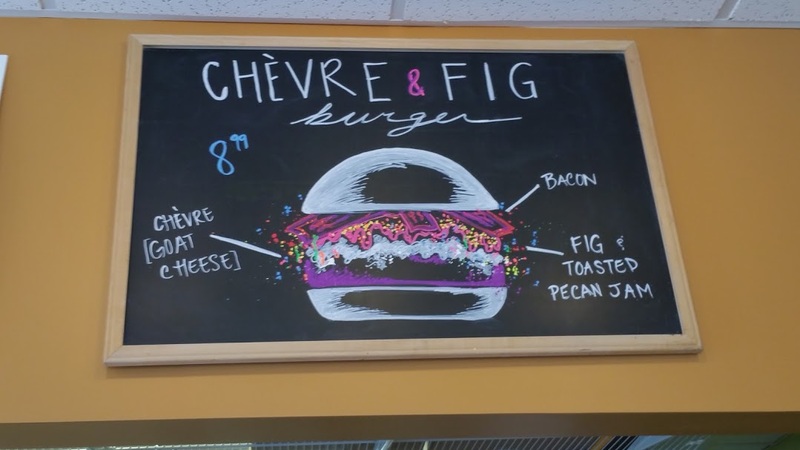 The tartness of the Chevere with the sweetness of fig jam and crunch of the pecan nuts, was a perfect combination. It was an Epik choice for me. 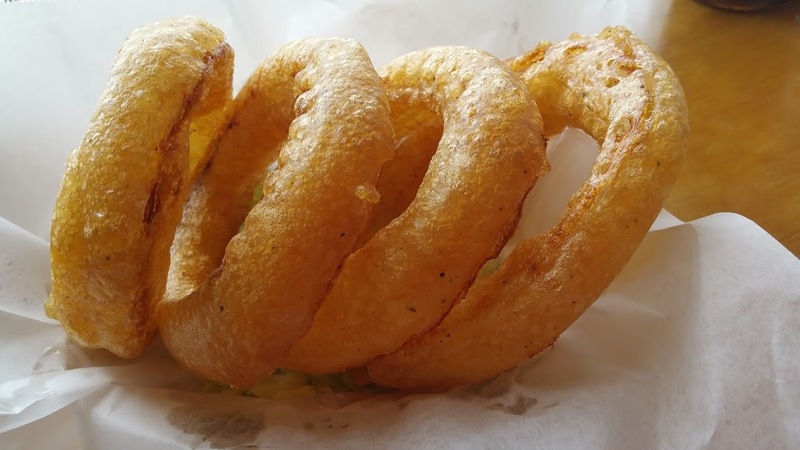 The onion rings are in a class of their own. Batter is amazing and crisp sweet and salty at the same time. My only comment on them I would have preferred thicker slices of onion and less batter but did not let this hold me back. 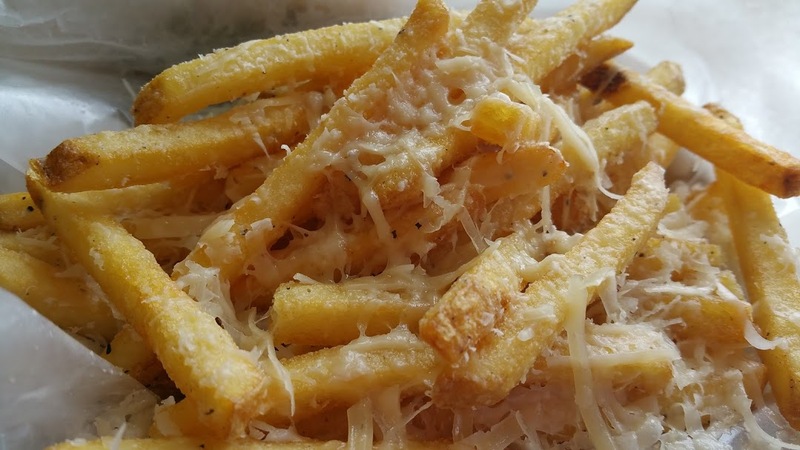 One of my favorite sinful foods, truffle fries covered in Parmigiano cheese. I ate until I could eat no more, I did sacrifice most of the onion rings and a few of the fries so I could finish the burger. Knowing I can return another day it was all good. 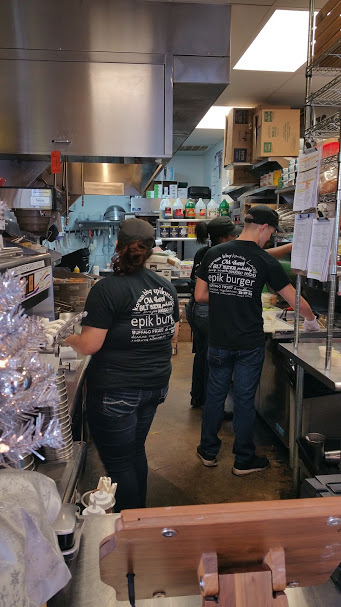 I do want to add some additional information, Epik is more than just a Burger store, they offer Bison and Veggie Burgers, Chicken Burgers and Ahi Tuna Burgers. Gluten free options are available. Some unusual side items round out the menu, Beer Battered Bacon, Foie Gras and Fries, Old Skool Fries, gravy fries topped with restaurant burger, bacon, cheddar and pickle chips, and Gravy Fries Fries covered with chicken gravy. And perhaps on of the top items are the hand spun Milk Shakes in flavors that will drive you wild, like Nutella or perhaps the White Heat Shake a combo of jalapeno and white chocolate! 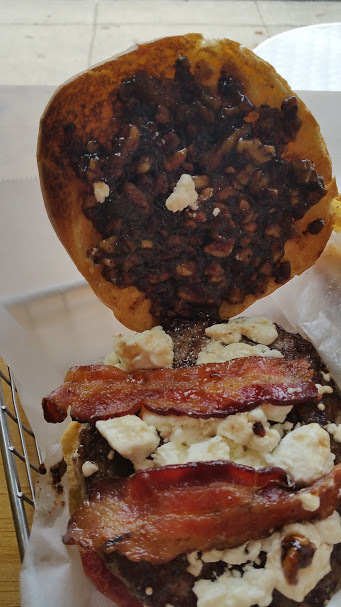 This was a great introduction to Epik Burger and I will be sure to return to test our the shakes and other burger offerings. Gather you favorite carnivores and make it a fun sinful feast, you will not be disappointed.